Holocaust studies had not come into their own yet; indeed, there were few texts available to study it and very few college campuses where it was even offered. The nomenclature for the “survivors” of that singular genocide hadn't even been created yet; they were simply called DP’s, displaced persons, or refugees. But, many of us were the children of surviving victims of the Holocaust and for those of us who were not, many of us knew people who were. We were an ideological group who luxuriated in the fact that after 2000 years of exile, filled with one series of persecutions after another throughout the world, we finally could walk with our heads held high because we were as a people once again re-united with our homeland. No longer wanderers, no longer living at the mercy of whichever rulers were in control somewhere in the Diaspora, we had the ability, if necessary to go back home, to our Israel. Some of us chose to make Aliyah, to vote with our feet literally and be a part of this new and exciting re-formation of the Jewish nation. We were the kids who wore those funny looking kibbutznik hats whenever we visited Israel. Our work at the ADL was serious. Nobody took any evidence of anti-Semitism casually. We understood the lessons of history; once the seed of anti-Semitism is given voice, it multiplies. We understood and we instinctively knew. But, we were faced with a new challenge. Sure, there was still blatant anti-Semitic statements and incidents coming from the mouths of neo-Nazi skinheads, (remember Skokie? ), and Klansman led by David Duke in the South but mostly we were concerned about ways in which to counter the various permutations of the statement, Zionism is Racism, an utterance marketed as a justified outcry to the displacement of Palestinian refugees, a declaration of Israel the Occupier dispossessing innocent people of lands they had owned and inhabited for centuries. Over the years, we were faced with the challenge of how to respond to the apparent legitimacy of these sentiments. I remembered being faced with this challenge while a student at the University of Michigan which had a large Arab population due to its proximity to Detroit, home to the largest Arab population in the United States. How to respond? Many of us saw these statements for what they were or for what they could easily become, just another form of anti-Semitism, but we found ourselves often on the defensive, always justifying Israel’s existence, Israel’s actions, piercing through the actions and behaviors of other Arab nations who created Jordanian refugees into the Palestinian people and used them as pawns to incite and distract their own populations from domestic problems at home. It was often infuriating. I mean, really! Did we actually need to establish our claim to the Land, did we really need to prove our right to be there? There were also geo-political realities: the Balfour Declaration, the U.N. partition plan of 1947 which Israel accepted and the Palestinians rejected. And the list goes on and on. 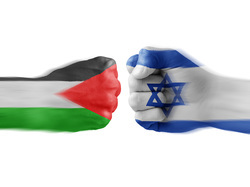 Over the years, the PR battle has been waged in many nations as Israel has often found itself no longer characterized as the sympathetic underdog but perceived as the militaristic occupier. No, the Palestinians could not see how much better their lives were under Israeli control because they simply were not free. Of course, neither were they free from being used by their own corrupt leaders. The semantics became reality to many of us. Zionism is Racism was now clearly just another form of anti-Semitism. There was no gray area, however legitimate some of the grievances were. We were both right and wrong in some of our assessments, but this latest war between Israel and Hamas is a real game-changer. 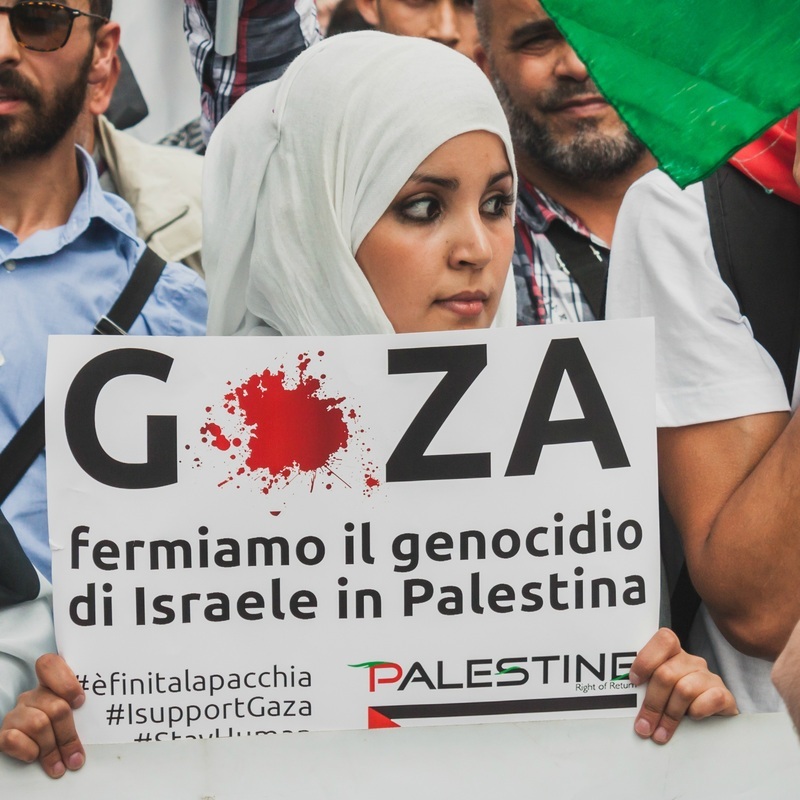 The gloves are now off as we witness and read about anti-Israel demonstration after demonstration throughout the world, even here in the United States, in which Jewish individuals and institutions have been targets and victims of pure, unadulterated anti-Semitism. There have been anti-Semitic acts here and abroad which could easily transport us back to the 1940’s, only it’s happening now, with Jewish-owned stores and signs daubed with slogans, Gas the Jews, Jews are killers, Death to the Jews, 150-200 French Jews barricaded in a synagogue by anti-Jewish protesters stopped only from causing greater harm at the last minute by French police. 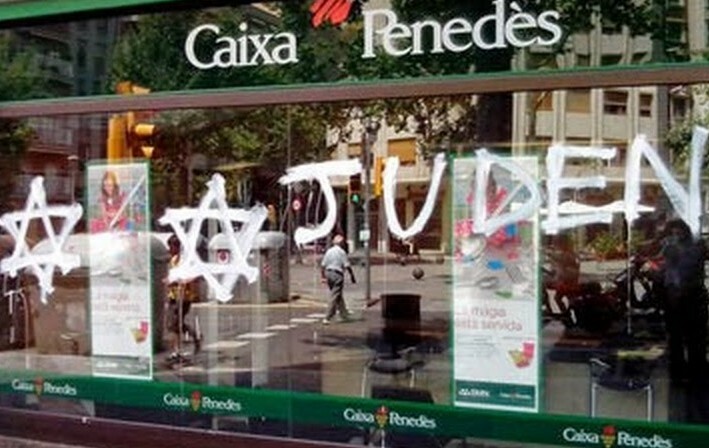 Is this the work of fringe left or right-wing elements? Can we simply dismiss them as crackpots? The world is not what it once so recently was. Messages are flashed throughout the world in nanoseconds. Social media had the power to cause the Arab world to erupt in Revolution and today’s 140 character polemics of Twitter tweets have grown in reaction to Israel’s Operation Protective Edge with venomous diatribes such as #Hitler was right and #Hitler did nothing wrong. Anti-Israel demonstrations have been held in many nations of the world in which anti-Semitism is featured with many comparisons made between the State of Israel and Nazi Germany. Jews have been specifically attacked because they are Jews, synagogues targeted and Israel demonized. When anti-Semitism is ubiquitous, couched in a context of seeming legitimacy, it’s easier to understand how ill-equipped our younger generations of Jews are to deal with these threats, especially as we all view the heart-wrenching images of Gazan children lying lifeless on the ground, innocent victims of a war caused by their own leaders who use their own people as human shields. It sickens us all on every level and it should. To many of our under-educated, disaffected, disconnected Jewish youth, Israel is the country which oppresses and murders Palestinians and nothing more. To many, it is a country of roadblocks and genocide. The Arab world’s PR campaign of equating Zionism with racism has reached deep into the hearts of our Jewish youth and convinced them they are correct. Yes, Israel, like all other nations is imperfect and we have a responsibility to question when necessary but are our children really so clueless that we must educate them about the objectives of the forces of Hamas and Hezbollah just over Israel’s borders? How could the last month of thousands of Hamas missiles being rained down indiscriminately upon the Israeli civilian population leave any doubt? Why do so many of our children not understand the inextricable link between their own security as Jews with Israel’s well-being? Why is it that our children do not know how to defend themselves to baseless charges of anti-Semitism masquerading as Zionism is Racism on our college campuses? As Jews, these are alarming times. Of course, lately with the news we are hearing about Russia and Ukraine, with planes being shot out of the skies, with Ebola making a prolonged appearance, with the news in general, these certainly are alarming times. Several years ago, we presented a program co-sponsored with AIPAC to train our college-bound and college students about how to respond to anti-Jewish remarks and actions, how to defend themselves, how to grow their identity as Jews with these necessary lessons, how to better understand our historical context. Amichai will be attending AIPAC’s Policy Conference in Washington D.C. next Spring to better educate all of us from some of the foremost Mideast experts in the world. Education is empowering. Of course, we hope you will join us. The Jewish New Year is quickly approaching. This deeply introspective period marked by the beginning of Elul begins at sunset on August 26, 2014. The inner work required of us all during this period is often not easy and part of this inner work naturally extends to how we interact with our community of Jews both here and throughout the world. Hillel’s words have especially pressing resonance for us these days. If I am not for myself, who will be for me? And if I am only for myself, what am I? If not now, when” (Pirke Avot 1:14)? We look forward to seeing you and praying as a community as we usher in the New Year together. Merciful God, may Your compassion be upon us, as You remember Your covenant with Abraham. May you spread the covering of Your peace over the descendants of Ishmael, son of Hagar, and over the descendants of Isaac, son of Sarah, and may it be fulfilled that they shall beat their swords into plowshares, and their spears into pruning hooks: nation shall not lift up sword against nation, neither shall they learn war any more (Isaiah 2:3-4).